Outsourcing to an SEO company can be very beneficial, especially if you don’t have the time, resources, and skills required to run a search engine optimization campaign. While some areas of internet business, such as search engine marketing, might be done in-house, SEO does not have to be. This is because it is so complex that it’s best done by experts who know how to properly implement it. 1- The complexities might not be something your in-house team is able to handle. The strategies must change regularly in order to keep up with the always-changing algorithms and search trends. Things that might not get your site penalized or banned now may in the future. It’s best to leave it to the experts. 2- As long as you outsource to the right company, you will save money in the long run. This is because search engine optimization is an activity that takes certain skills and knowledge that are acquired overtime. Teaching these skills to your staff will take a lot of money and time, and in attempting to do so, you will be keeping them from other important tasks. When outsourcing to experts, the SEO strategy will begin right away. 3- Experts are prepared for both the short-term and the long-term. Scalability is no problem for them, as they are prepared to handle your increased needs as time goes by. In order for an SEO campaign to be successful, it requires good management. 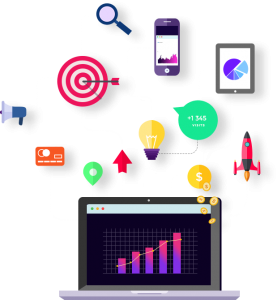 A great deal of tracking, testing, and analytics are required. 4- Outsourcing this kind of work will give you a peace of mind. You will be confident that the right things are being done with your site. Unless you’re an SEO professional with a lot of experience yourself, you will never be totally confident that you are doing the optimization correctly. 5- Having a fixed cost for your search engine optimization campaign makes it easier to plan ahead financially. You can evaluate the return on your investment. With a good company, you will most likely find the cost of the SEO is outweighed by the higher returns from increased traffic and sales. 6-The keywords you should be optimizing for are constantly changing. Certain keywords need to be used on certain pages for the best results. Do you have the tools required to test them and to keep track of which ones are working right now? SEO professionals have them, and will constantly evaluate how effective they are now and in the future. In order to achieve the best results, search engine optimization activities must be performed on-page and off-page at least once a week, if not every day. Now that you understand the benefits of working with an SEO company, you need to choose one. Not all companies are the same, so you must choose one that has a good reputation for providing a customized solution. Since your business is unique, your optimization needs may be different from other businesses. This means that you do not want to settle with a generic “one size fits all” type of SEO campaign. Go with experts who will work with you to create a tailored plan just for your business.